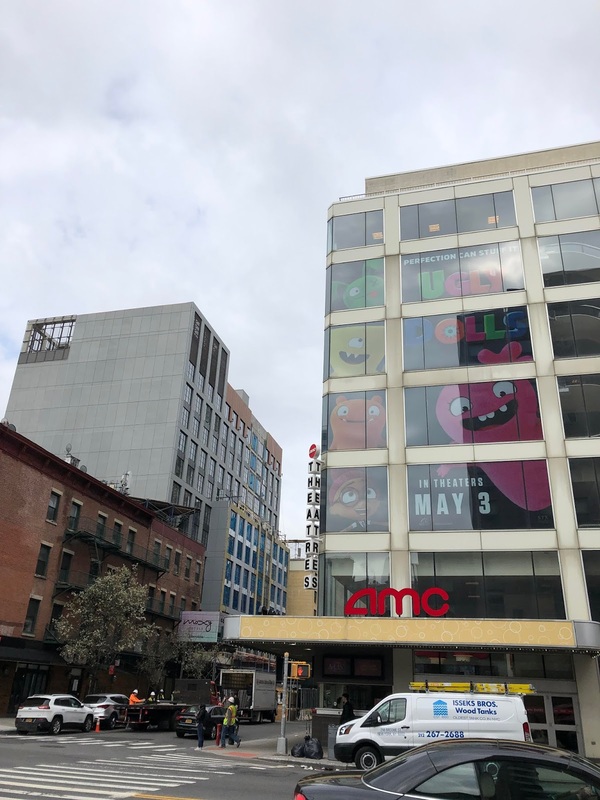 The Moxy East Village, the 13-story, 285-room hotel from the Marriott brand, is expected to open this October. 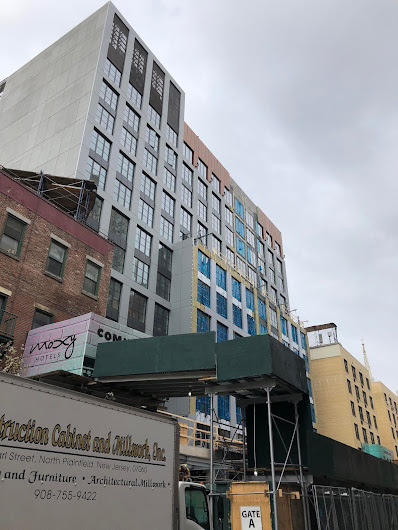 The hotel here on 11th Street between Third Avenue and Fourth Avenue — across the street from the all-new Webster Hall — doesn't appear to be accepting reservations just yet. The bright and open lobby layout is paired with contemporary furniture. The "Plug and Meet" gathering areas provide modern ergonomic seating, large writing walls and 56-inch televisions for presentation projection. The lobby also boasts a state-of-the art video wall and 24/7 Food & Beverage offering a wide selection of snacks and drinks. Other hotel amenities include healthy continental breakfast, an evening bar featuring wines by the glass and local brews. All bedrooms are equipped with 42-inch flat-screen televisions, build in USB ports and free Wifi. As previously reported, Tao Group is the food and beverage operator and the Lightstone Group's partner at the Moxy East Village. Plans include a 2,600-square-foot rooftop bar and a restaurant-lounge in the sub-cellar called MEV, short (apparently!) for Moxy East Village. The foundation work got underway here in August 2017. Workers demolished the five residential buildings that stood here in the fall of 2016. At the rally outside 112-120 E. 11th St. Translation = if you are over 35 and don't want to walk into a hotel lobby with more LED screens than Times SQ then avoid staying at a Moxie Hotel. Are we supposed to jump for joy that Marriott (the Mormon corporation!) is happy to bring noise, chaos and round-the-clock BOOZE to our neighborhood? All I can say is that I will NEVER stay in any Marriott-owned facility again, b/c this new hotel is a complete outrage. They should force De Blasio to live here for an entire week, so he can enjoy all that makes this "midtown south"! I'm against a large hotel in the nabe whether the Moxy or the Ritz. 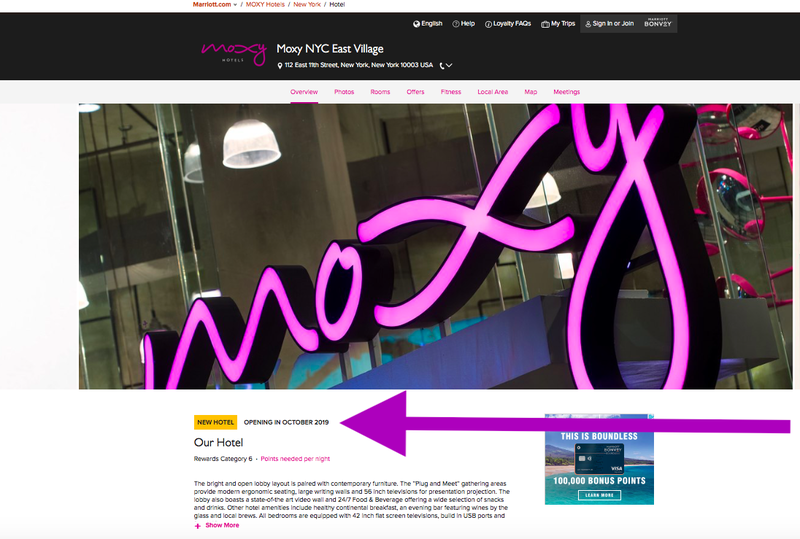 The Moxy tries to paint itself as the millennial's hotel. But if the room rates and the food/drink prices are high the Moxy wll turn into a big, ugly rental building. Welcome Moxy. I say embrace the horror! It looks like a Manhattan Mini-Storage warehouse, and based on the average size of their rooms that’s basically what it is. 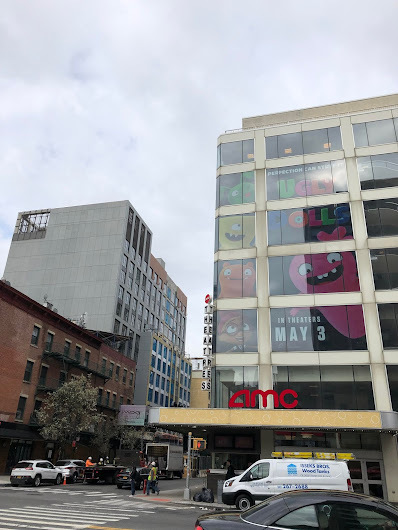 I just pray that they include some nice East Village themed features, like a nice Pan-Asian Houlihan’s with an all day bottomless brunch, or a Ukrainian style casino with a Crusty themed craps table, or maybe a Beetlejuice costumed mixologist serving curated cocktails at a Mr. Purple rooftop bar, and in the basement’s CBGB throwback lounge sponsored by Target, a nightly screening of the Rocky Horror Picture Show. As long as it’s all completely authentic and done in good taste, I’m fine with it. I can't walk by without mourning the row of Federal houses that were demolished to erect this ugly building.